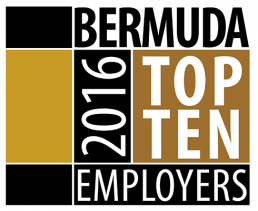 East End Asphalt is Bermuda’s leading asphalt manufacturing and paving company. Established in 1968, the Bermudian firm was acquired by Polaris Holding Company Ltd fifty-one years later, in 2019. The company uses the highest quality materials to produce a durable asphalt mix product that is routinely tested at the Hamilton parish plant to maintain quality control. The number one paving contractor on-island both in terms of jobs completed and standard of workmanship, we also offer a warranty on all completed work. The firm is Bermuda’s sole licensee of StreetPrint asphalt stamping technology, leading the island in integrated paving concepts for residential, commercial and industrial environments. StreetPrint’s patented formula has proven durable in more than 30 countries around the world, and is resilient in all climates and weather extremes. 8 Ducks Puddle Drive, Hamilton Parish, Bermuda. East End Asphalt is a welcome addition to the Polaris portfolio of companies. The company includes a solid team of industry specialists and offers unique product and services that serve residential, commercial and national interests. We are positioned to leverage its synergies with our existing subsidiaries and drive growth in the Business-to-Business and Business-to-Consumer categories.